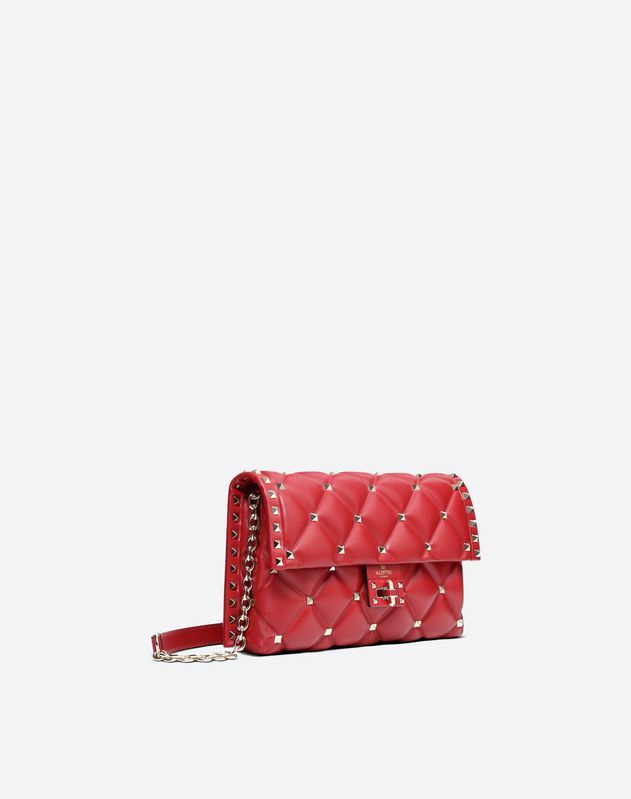 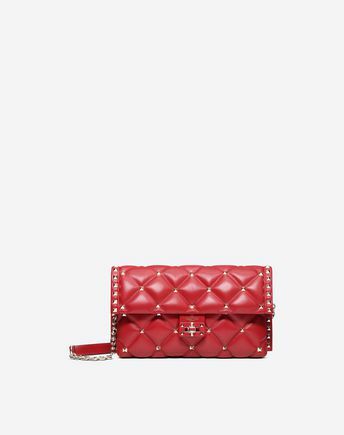 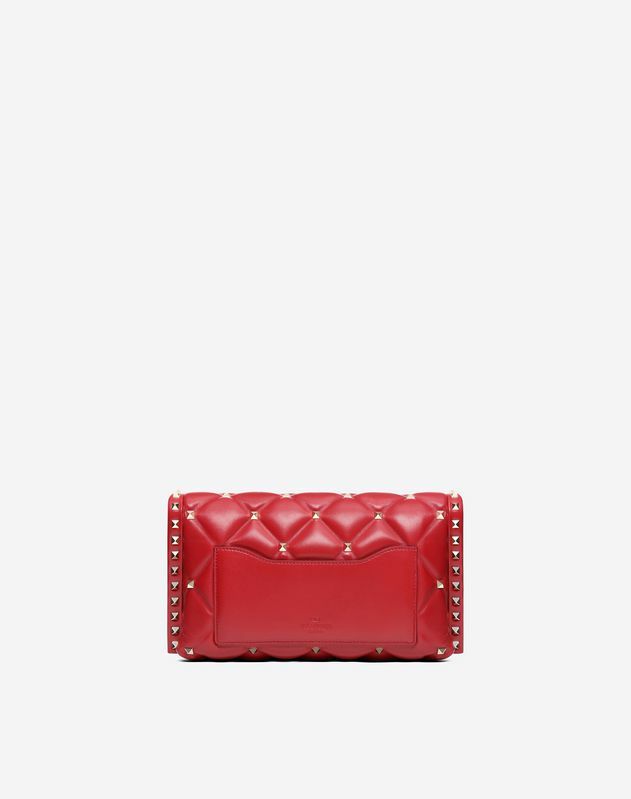 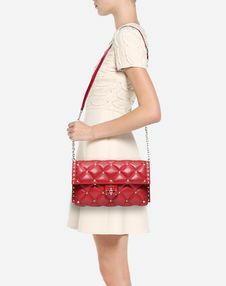 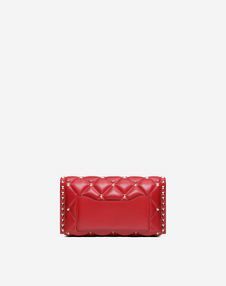 Valentino Garavani Candystud cross-body bag in supple lambskin leather with platinum-stud trim. 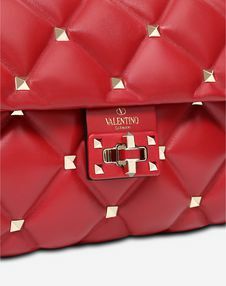 Rhombus capitonné quilting with stud detailing. 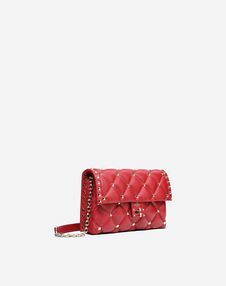 - Cotton lining. 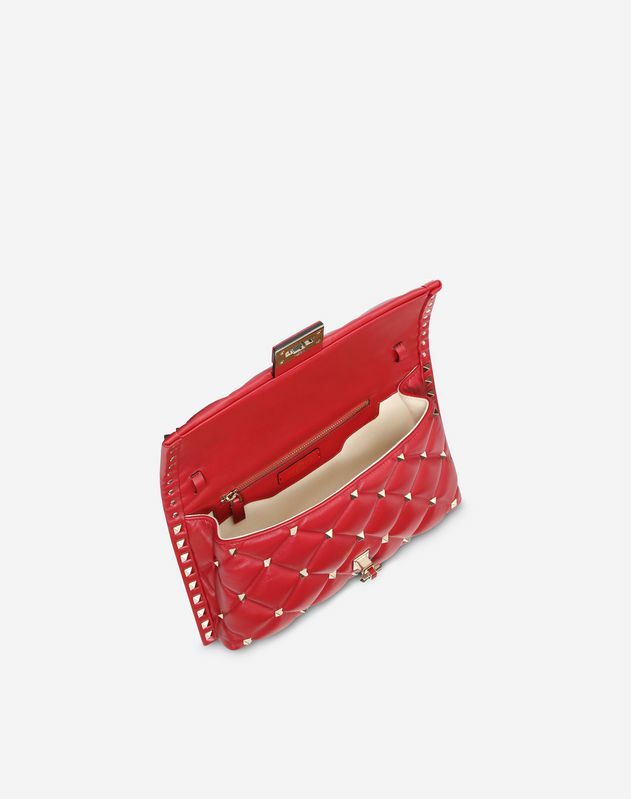 Interior: one zipped pocket and two flat open pockets.